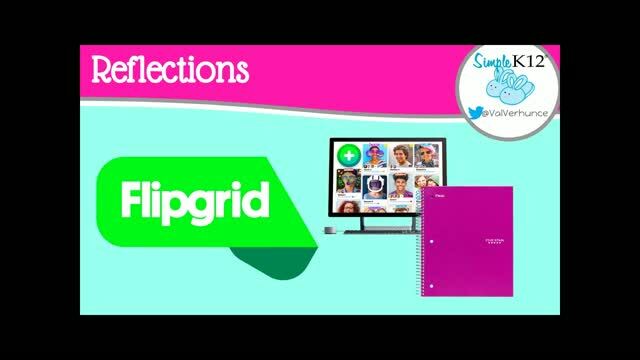 Would you like an engaging, fun way to encourage an interest in STEAM or STEM topics among both students and teachers at your school? Consider trying a hands-on makerspace marathon in which students and teachers participate in a variety of activities of their choosing. 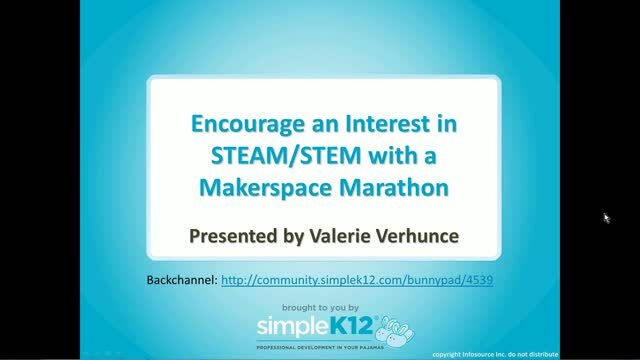 Join Valerie Verhunce as she explains the purpose of a makerspace marathon and details how to set one up. 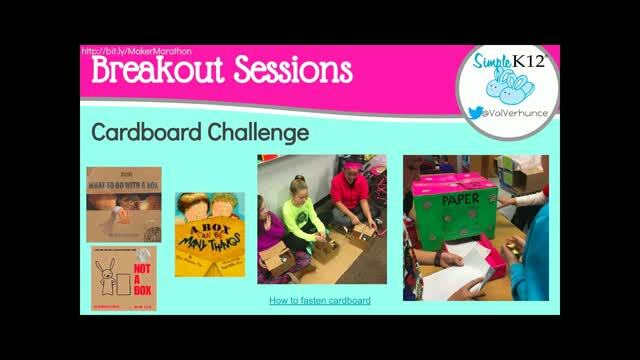 She will share many of the hands-on STEAM activities that she has used, suggestions for where to get supplies, and tips for making your makerspace marathon a success. This is old school. I grew up doing this at home. It is troubling that we have to schedule this into our school day because children no longer create at home. Good reminder that while it may be old, it is still good for you! Thanks for the presentation. 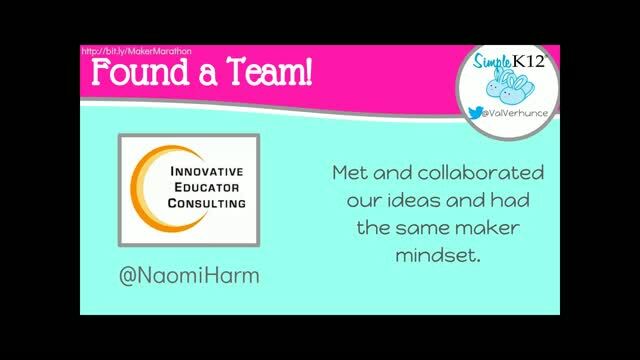 I really liked this webinar. There are so many ways to do the STEM activities. I think even I could do this!